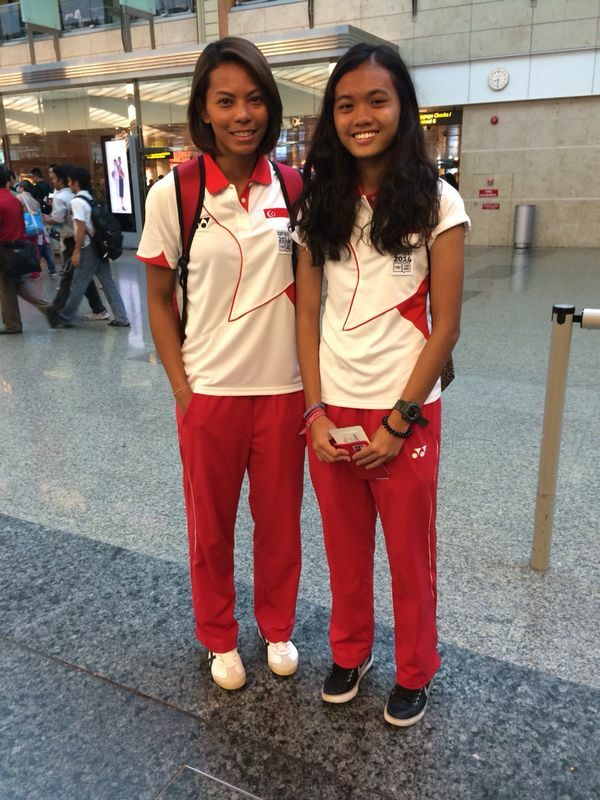 Nur Izlyn (right) with team manager Asmah Hanim heads to Nanjing, China for the YOG. 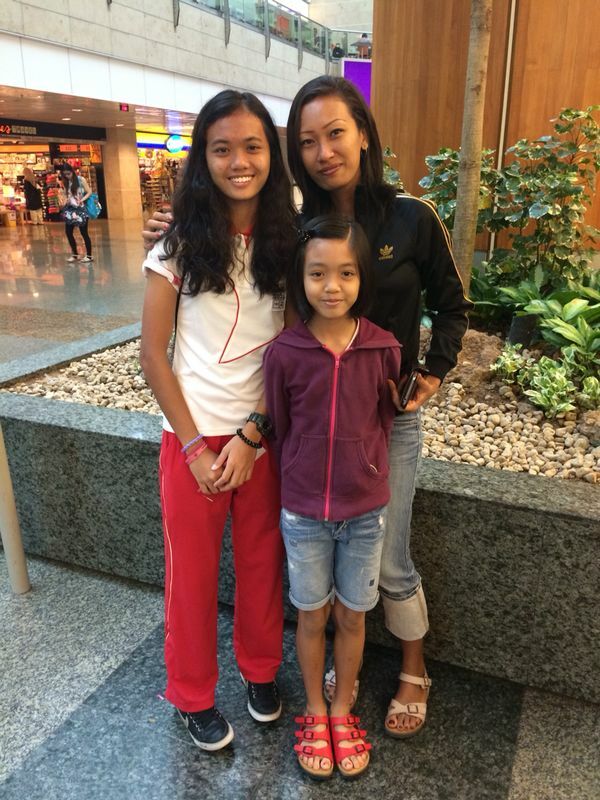 Nur Izlyn with her family before checking in at Changi Airport. The 16-year-old is the Republic sole athletics representative in the girls 100m hurdles. Bon voyage!